Best Deals of the DayThe best deals from around the web, updated daily. 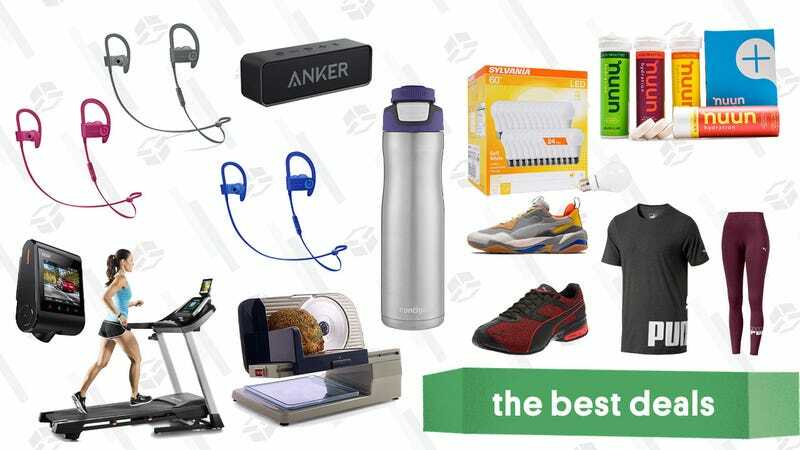 PowerBeats3 Headphones, USB-C Chargers, and a Chef’sChoice Deli Slicer lead off Wednesday’s best deals. Bookmark Kinja Deals and follow us on Twitter and Facebook, or sign up for our newsletter to never miss a deal. Monoprice’s 45W USB-C wall charger is ugly as sin, but we’re willing to forgive that at this price. Just add the charger and a white USB-C cable to your cart, and use promo codes PICKME and PICKB at checkout to get both for just $11. Even without the cable, that’s the best price we’ve ever seen on a USB-C charger with that much power. If you own a laptop, a Switch, or anything else that can take advantage of those charging speeds, it never hurts to have a spare charger around the house. Note: I had trouble getting both codes to work at the same time, but removing the cable and adding it back to my cart did the trick. I love my fancy, new 11-inch iPad Pro and right now, you can take $70 off the 64GB silver model on Amazon, or $100 off the 512GB space gray version. During Cyber Week, I picked up both the Pro and the regular 2018 iPad, and there was no question which had more power and a better screen. While most people would be happy with the standard iPad, I couldn’t suffer through a non-laminated display. I’m also really excited to use it in tandem with the latest Apple Pencil, which is more convenient, and easier to hold. Take your Alexa skills anywhere with this discounted Amazon Tap. You can get a refurb one for just $40 today on Woot, which is the best price we’ve ever seen. The best part? Alexa gets better all the time. And for $40, this is a cheap bluetooth speaker just smarter. 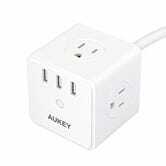 If you want to be able to plug things in at your desk without squeezing your arm behind it, or awkwardly crouching down to find a power strip, this cube-shaped charger from Aukey sits atop of your desk, and includes four easy-to-access AC outlets, plus three USB charging ports. Just use promo code AUKEYK06 at checkout to get it for $19. Anker’s reader-favorite SoundCore Bluetooth speaker spawned a whole line of products, but the original model is still great, and it’s back on sale for a great low price of $23, no promo code required. The SoundCore’s headlining feature is its 24 hour battery life, and in my experience, that’s a conservative estimate. It also packs in dual 6W drivers for room-filling sound, and looks pretty great to boot. If you’re anything like me, you’ve probably spent a lot of January in the gym and too much time listening to other dudes excessively grunt. Luckily these $90 PowerBeats3 headphones are down to one of their lowest prices ever. Before you wag your finger about sound quality, Beats have come a long way in recent years, improving a lot since being acquired by Apple. And this pair even include the easy-pairing W1 chip, making them a great option for iPhone-owning fitness buffs, or anyone whose ears aren’t compatible with AirPods (see: me). Grab a pair in “Neighborhood Collection” colors, which include Break Blue, Turf Green, Asphalt Gray and Brick Red. This is a $10 markdown from the price currently on Amazon. It’s 2019, which means you almost definitely already own a pair of Bluetooth earbuds. But I submit that you should actually have a second, spare pair that can live in your luggage or gym bag, for when you inevitably forget your favorites at home. 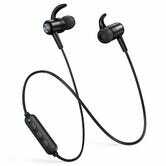 This pair from TaoTronics is sweatproof, magnetic, and most importantly of all, runs for nine hours on a charge, which is about as good as it gets for wireless earbuds. Not bad for $16 (with code KINJA26V). If you got yourself a new TV during the holidays (or even more recently), it’s cheaper than you might think to mount it to your wall. This highly rated Perlesmith mount can support TVs up to 70" and 132 pounds, and it’s only $37 today with promo code UJQE85K9 stacked with the coupon on the page, complete with bonus accessories like a level, cord ties, and an HDMI cable. 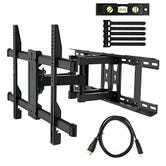 Unlike some less expensive mounts we’ve seen, this one supports full articulation and swiveling, so you can adjust your TV’s positioning whenever you want. 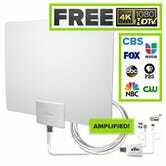 You don’t need to cable subscription or an expensive “cord cutter” over-the-top package to watch the rest of the NFL playoffs (and a lot of March Madness)...you just need an antenna sufficient to pull in local channels where you live. 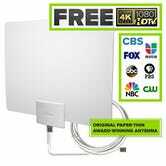 Mohu has long made some of the best and most popular leaf-style HDTV antennas on the market, and a few different models have rare discounts on Amazon today, in preparation for the best sports time of the year. The $22 Leaf 30 is probably sufficient if you live in or near a city, though things like tall buildings can make for a spotty signal. 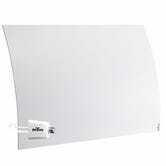 The $46 Leaf 50 normally sells for $10 more, and includes a USB-powered amplifier that can boost weak TV signals. The $48 Curve 50 should perform similarly to the Leaf 50, but it comes with a stand so you can set it on a shelf, rather than mounting it to a wall. TCL’s affordable 6-series TVs are famous for offering every form of HDR (including top-shelf Dolby Vision), local dimming zones for better contrast and black levels, and even excellent Roku software. So if you want to upgrade before the large, important football game in a few weeks, the 65" model just dropped to a new all-time low price of $850, which is actually $80 cheaper than we saw on Black Friday. 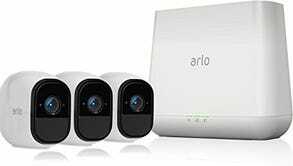 Netgear’s Arlo home security cameras are among the few that can run completely on battery power, and the Pro models add additional touches like rechargeable batteries (rather than watch batteries), improved motion detection, two-way intercom, and a base station with 100 decibel alarm. So if you’re ready to start monitoring your home like a paranoid person, Amazon will sell you the three camera starter kit for $335 today, the best price we’ve seen outside of Black Friday. 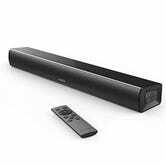 Anker makes sound bars now, which...yeah, that makes sense. The SoundCore Infini Mini is 21" and puts out stereo sound. And naturally, it’ll also work as a gigantic Bluetooth speaker, when it isn’t pumping audio out of your TV. With no subwoofer built in, I probably wouldn’t use this for my main home theater. But it’s perfectly sized and priced for, say, a bedroom TV, or even a computer. Normally priced at $80, it’s down to $70 today on Amazon when you clip the $10 coupon. Between your phone, your tablet, your smart watch, your Kindle, and your Bluetooth headphones, one or two USB ports just isn’t enough anymore when you travel. 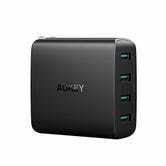 No, you probably want at least four, and this $16 Aukey charger (with promo code AUKEYD48) puts them all in one compact package. Anker’s PowerPort line of multi-port USB chargers are our readers’ favorites, and this model is one of the few that includes USB-C Power Delivery, which outputs up to 30W to power devices like the new MacBooks, or even a Nintendo Switch. It normally sells for $54, but Anker’s knocked that down to $35 today, no promo code required. One charger to rule them all, finally. If you’ve been curious to give YouTube TV a try, and you could use a new streaming dongle, Walmart’s running a particularly enticing deal today. $59 gets you a month of YouTube TV (a $40 value, new accounts only), plus $15 in VUDU content, meaning the Stick itself is basically tossed in for about $4. Amazon sells the Streaming Stick+ for $60 as well, and has the same YouTube TV promotion, but no VUDU credit. The Streaming Stick+ supports 4K and HDR content, and its remote ingeniously includes a headphone jack which makes it easy to listen to your shows in bed without disturbing others. Update: My bad, it doesn’t include a headphone jack, but the Roku app can serve the exact same function. Given how many Lightning cables seem to wear out at the necks, it’s surprising that 90 degree cables aren’t more of a thing. 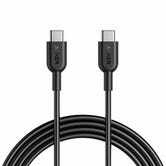 You can grab two nylon braided cables for $11 from Aukey today with promo code AUKEY90L, which would be a great price for two nylon-braided Lightning cables anyway, even without the unique connector. Anker’s audio efforts may be best known for its plethora of Bluetooth earbuds, but they’re entering the over-ear space in a big way lately, and you can get their brand new Soundcore Life 2 noise canceling cans for just $65 today with promo code SDCLIFE2. They fold up to fit into an included carrying case, they work both in wired and wireless mode, and they run for up to 30 hours with noise canceling enabled (60 if you’re using an AUX cable for your audio), which is excellent at this price. 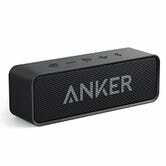 But what sets the Soundcore Life 2s apart from similarly priced competitors is Anker’s signature BassUp mode. Just push a button twice, and the headphones will automatically adjust their EQ to emphasize the low end of your music. Anker PowerLine II 10' Lightning Cable | $10 | Amazon | Promo code CABK8434. Works on all four colors. With TPE shells, reinforced wiring, and large, durable collars, Anker’s PowerLine II charging cables are built like tanks, and can hold up to even serial cable abusers. And if they somehow do stop working, Anker’s lifetime warranty means that you can swap them out for a new one for free. 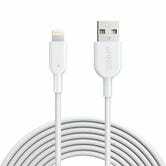 Today on Amazon, promo code CABK8434 will get you a 10' Lightning cable for just $10, in whatever color you want. I have one of these tucked into my couch cushions. It’s long enough to comfortably reach anywhere on the couch, and durable enough to withstand me tugging on it when it gets stuck between cushions, or under the dog. If you need a USB-C version, the 6' one is just $8 with code CABKA848, or you can get a 3' version with 10 Gbps data transfer speeds for $15 with code CABK8485. At first glance, Anker’s SoundCore Spirits look a lot like the reader-favorite SoundBuds Slims, but they do have a few key upgrades. The big one is IPX7 water resistance, plus added sweat-countering measures from Anker that make them ideal for working out, especially compared to the IPX5-rated Slims. They also last a bit longer with an eight hour battery (vs. seven), include a built-in cord shortener, and should have a bit more bass as well. The SoundCore Spirits have sold for $30-$40 since they launched last year, but today, they’re just $24, no promo code required. Wake up! There’s a deal that will help you get a better night’s sleep. Right now, you can take 30% off an extra thick bamboo mattress pad with promo code KDEALSMPAD, bringing the price down to $77 for a twin size and up to $98 for a California king. Just don’t snooze on this deal; it won’t last long, and as they say, early bird gets the worm. 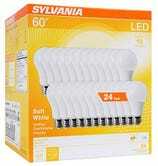 If you still haven’t upgraded your incandescent and <shudders> CFL bulbs to LED, you can do them all at once today with this $23 24-pack of Sylvania bulbs. They put out the same amount of light as a 60W incandescent while using only 8.5W of energy, meaning they’ll easily pay for themselves over time. Some local utility companies will even give you a rebate on your power bill if you send in a receipt for LED purchases, so who knows, maybe you could even get these for free. Just as the Contigo Autoseal travel mug is one of our readers’ favorites for keeping drinks hot, this Contigo Autoseal Stainless Steel Water Bottle is highly adept at keeping your beverages icy cold. In fact, the bottle, down to just $13 in the grapevine color, keeps your drink cold for up to 28 hours, thanks to vacuum insulation, plus an autoseal button keeps all liquid where it’s meant to be between sips. Throw in the fact that it’s dishwasher safe, and that’s enough to seal the deal for us when it comes to this water bottle. 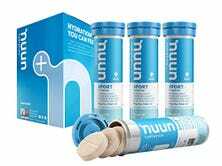 Water is very good for you, but what if it could be even better for you? 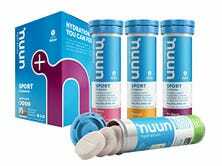 Nuun Hydration adds flavor, along with vitamins and/or electrolytes, to you regular ol’ bottle of H2O via a fizzing tablet, and today only, you can stock up on enough packs to fill all your glasses thanks to Amazon’s Gold Box. 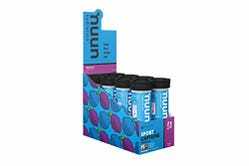 Each easy-to-carry tube contains 10 tablets, which would be especially useful before or after your workout. Let me start off by saying that we accept no responsibility or liability if you chop off the tip of your finger with this deli slicer. I didn’t run that by our lawyers, but I’m pretty sure we’re good. Okay, with that out of the way, if you’ve got the space for it, $99 is the best price ever on this Chef’sChoice slicer by $69, and while it definitely takes up its fair share of space, you might get more use out of it than you’d expect. In addition to slicing meats as thick as you’d like, you can pull it out to use on cheese, veggies, and even bread. But again, please be careful. Anker’s ever-expanding family of dash cams just got a new member, and it’s down to its best price ever today with promo code ROAVAPS6. The Roav DashCam S1 looks just like the original model that we reviewed on The Inventory, but it shoots 1080/60 instead of 1080/30, giving you twice as many opportunities to get a clear shot of a license plate. An upgraded Sony image sensor improves low light performance, built-in GPS lets you log your trips, and it even comes with a 32GB microSD card and two port car charger in the box, so you’ll have everything you need to get started. When it’s time to grind, get out this $25 Secura Grinder, now down to its lowest price. With stainless-steel blades and separate removable bowls for chopping and grinding, this grinder will have no trouble crushing anything from coffee beans, to spices, to nuts into a crumbly powder in mere seconds. It’s a deal that won’t grind your gears in the least. Luggage gets all the attention, but if you ask me, the single most important travel item you can buy is a good toiletry bag. I keep one in a closet stocked with miniature versions or duplicates of all my essentials (I even bought a second Philips OneBlade), and just throw it in a suitcase without a care when it comes time to take a trip. Eagle Creek converted me to packing cubes, and now they’ve managed to make me love a duffel bag. 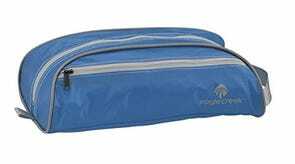 Eagle Creek makes some of our favorite packing cubes and duffel bags, so it stands to reason that their Quick Trip toiletry bag will be really good too. Get it for an all-time low $18 in “Brilliant Blue” today. What if...and hear me out here...you could actually park your cars in your garage, and keep all your random lawn equipment, beach gear, and sports balls somewhere else? It’s possible! This Keter 6' x 3' storage shed is on sale at Walmart for $365 right now, and can keep all of your unneeded things out of sight, until you need them. That’s about $65 less than Amazon’s current price, but you’ll need to pick it up yourself from your local Walmart to avoid the $100 freight shipping charge. Crawling behind your furniture to plug in and unplug your various gadgets day in and day out? That’s so last year. Bring outlets into 2019 with this $40 TP-Link Mini Smart Plug 2-Pack, which allows you to enable or disable your outlets with your smartphone, put them on an automated schedule, or control them using Alexa. All that, and they each only occupies one socket. 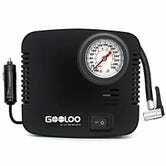 While it’s certainly not as fast as the coin-operated air compressor at a gas station, this glove box-friendly compressor can save your bacon if you have to change a tire, or just can’t be bothered to find a bunch of quarters. And speaking of quarters, it’ll only cost 40 of them with promo code 9Q35YDXB. It might look like something Rey would wear while scouring for spare parts on Jakku, but this neck wrap is actually a travel pillow, and a great one at that. 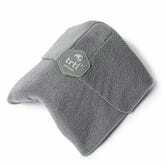 The Trtl pillow uses a hidden rib system to support your neck as you doze off in your tiny coach airline seat. Just wrap Trtl around your neck, placing the ribs on whichever side you want to lay your head (including directly under your chin) pop on some noise-cancelling headphones, and try your darnedest to get some shut-eye. It looks ridiculous, sure, but I promise you that nobody on your flight cares. Honest! In case it wasn’t obvious, the big advantage of this design is size; Trtl weighs less than 1/3 of a pound, can attach to your luggage, and is far less bulky than a memory foam pillow. While not as good as our exclusive Black Friday deal, you can get any color you want for 10% off on Amazon right now by clipping the on-page coupon. Valentine’s Day is officially one month out, which means it’s time to start planning something special for the special someone. 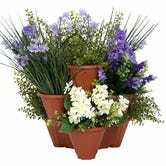 If you’re smart, you’ll consider getting the object of your affection a bouquet of flowers, because flowers are classic, easy to procure, and — thanks to this deal from 1800Flowers — not too pricey. White noise machines are great for drowning out your internal monologue about that dumb thing to your boss three jobs ago, or when Stacy turned you down for prom, or when you forgot your lines in front of everyone in the middle school play oh god oh god just let me sleep, brain. Marpac’s iconic Dohm machine carries a 4.2 star average from over 13,000 Amazon reviewers, and $39 is about as low as it ever gets, with a few short-lived exceptions like Gold Box deals. 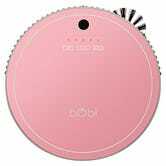 The bObsweep bObi Pet attempts something that most robotic vacuums only pay lip service to: looking good. Its soft silicone touch sensors replace the loud (and sometimes baseboard scuffing) bumper you see on most competitors, it comes in a variety of bold colors, and its upper surface is marked only with a logo and three touch-sensitive buttons with cute names: Go!, Juice (recharge), and Waffle (clean one area of the floor in a waffle pattern). It also comes with a virtual wall, which you rarely see in a robovac this affordable, and a full two year warranty, plus five years of subsidized service if anything goes wrong. Its remote though. Wow. I don’t think we’ll ever see it in the MoMA. But honestly, who ever uses the remotes on these things? 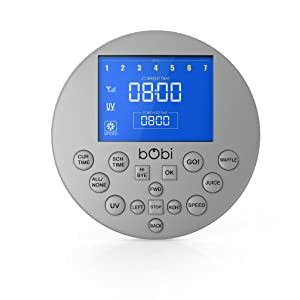 Get the bObi Pet for $180 in either peach or red, since its back down to its lowest price ever right now.